More than 100 Years ago, researchers demonstrated that ancient myths and pagan religions are similar throughout the world. Other researchers have known for years that ancient petroglyph images are similar throughout the world. What was not known until near the end of the twentieth century was that scientists could reproduce the petroglyph images in the plasma laboratory. The laboratory plasma that produced petroglyph images was the type of plasma that creates the Earth’s auroras. 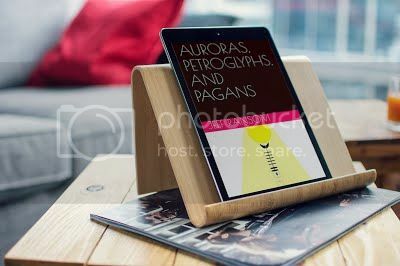 That suggests that under certain conditions those images that were drawn in petroglyphs could have appeared in the auroras during ancient times. Numerous areas throughout the world could have seen similar images in the sky during the same time-frames. Those images combined with their motions and the actions of comets and meteors could have led to the creation of similar myths. The myths led to pagan religions. No space aliens or supernatural activities were required. Information in this book includes why some pagan religions thought that heaven was close to Earth, the gods lived at the top of an exceptionally high mountain, there was a pathway between heaven and Earth, there was a trinity of major gods, and the gods had significant events occur on mountain tops. Details are also included about numerous initial surprises found by space probes and the concepts prevalent in 1950 that led to those surprises. Those concepts also initially hindered the recognition that there was an association between mythology and the ancient sky and the association of auroras, petroglyphs and pagan religions. Anyone with an interest in myths, ancient religions, petroglyphs, astronomy, geology or the interdisciplinary synthesis of those subjects would find something of interest in this book. There are stories in many countries about a mountain, often called the cosmic mountain, where the gods lived. The Tree of Life is often described as having characteristics similar to the cosmic mountain. The tree, similar to the mountain, was often considered divine and inhabited by gods or spirits. Its branches reached into the sky and its roots went deep into the earth. The cosmic tree or cosmic mountain was a link between Heaven, Earth, and the underworld. A ladder was sometimes used as a method of travel from one to the other. In the book titled Osiris and the Egyptian Resurrection, Budge quoted: “His mother is Smat, the wife on the mountain, the verdure on the mountain Sehseh. He comes out on the ladder which his father Ra made for him.” [Budge, OAER, p 119] [Emphasis added] Verdure, or greenery, would fit with one of the major aurora colors mentioned previously. In another section Budge noted, “The god is seated on his throne as usual, and behind him rises the mountain of Amenti, from the top of which two arms are extended to receive the solar disk. Between the deceased and his wife and the god is a lake, or ornamental piece of water, from the sides of which grow date-palms, etc.” [Budge, OAER, p 45] [Emphasis added] Since the mountain of the gods was sometimes considered to be in the north, what was translated as solar disk may have been a glowing ball of plasma called a plasmoid. That concept would have been unfamiliar to translators. In a Saturday Night Live comedy skit in 1993, The Coneheads were space aliens who came to Earth to observe human life. Cone and head may have been fused there first, but cones on people’s heads can be in drawings and on statues for years. The symbolism of the shape is interesting. No aliens are needed. A carving thought to be Suppiluliuma II, New Kingdom of the Hittite Empire, ruling c. 1207–1178 BC, contemporary with Tukulti-Ninurta I of Assyria, depicts him with a cone hat. A topor is a type of conical headgear traditionally worn by grooms as part of the Bengali Hindu wedding ceremony. It is cone-shaped and it is believed to bring good luck. Hephaestus was the ancient Greek god of blacksmiths, craftsmen, artisans, sculptors, metals, metallurgy, fire and volcanoes. In Greek mythology, Hephaestus was the son of Zeus and Hera, the king and queen of the gods. He wore a cone hat. The Shwedagon Pagoda,Yangon, in Myanmar, is a Buddhist pagoda. It the oldest Buddhist temple in Hanoi, the Phya That Gyi Pagoda in Bagan, Myanmar and the sixth century tower at Clonmacnoise Monestery, Ireland, by the River Shannon all have cone-shaped tops. A kasa is any of several sorts of traditional cone hats of Japan often made of straw. A hogeon is a type of Korean traditional cone headgear for young boys aged 1 to 5. A hogeon was worn on holidays such as the Korean new-year. In Central Vietnam, legend says, when a deluge of rain was falling, there descended from the sky a giant woman wearing on her head four huge round leaves as large as the sky itself and stitched by bamboo sticks. This was the Non La Cone Hat which is shaped like a cone. The leaves protected humans, then still naked, from the rain. The giant messenger from the sky twirled round the leaves on her head to dispel clouds and rains. She taught her followers how to grow crops. One day, mankind dozed off while listening to her stories. When they awoke, the goddess was gone. It is common in ancient myths for the gods and goddesses eventually to disappear. “What’s the allure of being a conehead?” was asked in the magazine Mental Floss. There is a picture of a recent Aurora that gives the impression of a face with a cone hat. [Mujay] Pareidolia is a psychological phenomenon wherein the mind perceives a familiar pattern of something where none actually exists. Common examples include seeing images of Elvis in toast, or animals or faces in clouds. Figure 2.4 gives an idea of the face with cone hat that seems to appear in the photograph. In the photo, the lines appeared green. 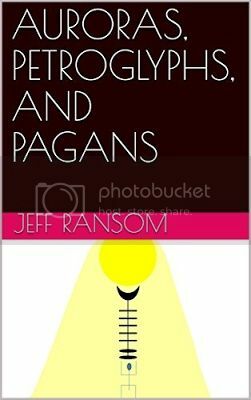 Jeff Ransom received a Ph.D. in Plasma Physics from The University of Texas at Austin in 1967 and is a member of the American Physical Society. In the aerospace industry, he performed research in a number of areas including radio frequency plasmas, electro-optics and reconnaissance, infrared detection, non-destructive testing methods, fiber-optic and polarized display enhancement and missile jamming techniques. Most of this work was classified, which led him to conduct private research in areas that he could discuss with people in the non-classified world. He published an article related to the plasma part of those presentations titled “Plasma Generated Craters and Spherules” in the IEEE Transactions on Plasma Science, Volume 35 Issue 4 Part 1 P828-831 07August 2007.